From brushing milk teeth to getting ready for prom, the family bathroom is a hard-working space. A well-designed bathroom can make life easier for parents, while an awkward, poorly ventilated or damp bathroom can, in extreme cases, be a health hazard. Here are our tips to help you reshape your space to create a family bathroom that works for you. Your existing bathroom: love or hate? The best way to start your bathroom planning is to consider your current space. If it works well but is simply outdated, you can save time and money by retaining the existing layout but updating it with marble worktops or beautiful slate tiles. Cramped, awkward bathrooms can be saved by modern space-saving fittings or perhaps creating a wet room with stone tiles on the floor and walls. There are lots of options that can make daily routines easier and less stressful. For example, a double sink can prevent squabbles or allow a parent space to wash a younger child while an older one slowly brushes their teeth. Unfortunately, space is at a premium in most British bathrooms so you may have to make a trade off between useful tools and room to move. Look out for compact fittings that give you options without a large footprint. When you’re remodelling a bathroom, it’s worth thinking about your plans for your family. A shower might work well for older children, but is hard work with a new baby or toddler. Conversely, a bath-only design suits small children but will encourage teenagers to shut the door for hours. Cunning storage, easy to clean surfaces and a flexible bath/shower arrangement give you a stone bathroom that will easily move from rubber ducks to the hair gel years. If you only have one bathroom, dividing it to create a separate toilet and bath/shower area can be a life saver, particularly as children enter the self-conscious teenage years. There is little more frustrating than having to dance outside the door to the only bathroom while your teenager spends an hour locked inside getting ready for school. Equally, with toddlers, being able to run into the loo while your partner showers can save a lot of mess. It seems obvious, but some bathroom plans don’t consider the water: will the joists support a full bath? Can water leak through the floorboards? Easy to clean, waterproof and fully sealed, a stone bathroom is a practical choice for growing families. Modern textured stone tiles and slabs provide non-slip surfaces that are comfortable to walk on, while integrated floor and wall tiles prevent water spills seeping out of the room. Don’t forget water in the air, too – a good extractor fan helps prevent soggy towels, water puddles and mould. Everyone has favourite spots in their home, and these often depend on the season. Creating a room that works just as well when it’s freezing as when it’s boiling is difficult, but as your kitchen is in use all year round you’ll need to do just that. 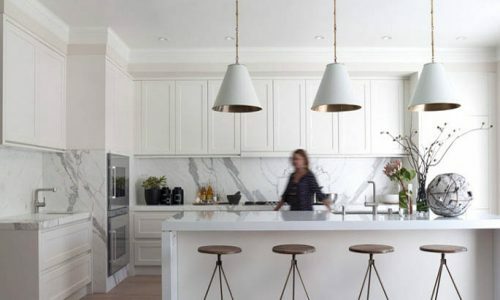 Here are some tips to help you make the most of your space, whether you’ve got enough marble worktops to start a cooking school or are making do in a smaller space than you’d like.